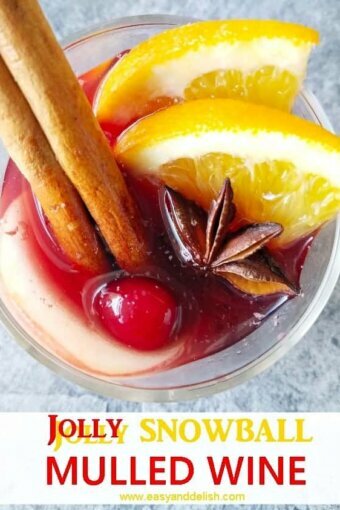 This Snowball Mulled Wine is an easy and delicious holiday drink made from chai, red wine, honey, orange juice, spices, fruit, and vanilla ice cream. It's perfect for the holidays and other wintertime entertaining events! Love mulled wine? Also try our Brazilian Mulled Wine.